The best way to learn to handle money is when you are still single. 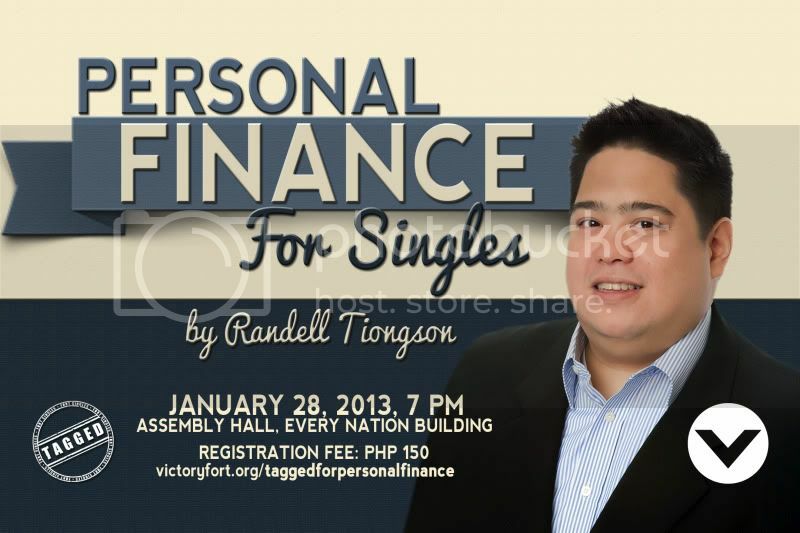 Join this program on January 28, 2013 from 7pm to 10pm. Walk-ins are allowed. See you! If more and more singles and young adults would attend your finance seminars, we would have more citizens who are responsible in spending and budgeting.